Short-term rental owners are fighting back as Boston considers cracking down on Airbnb. Hundreds of Airbnb hosts packed a hearing in Boston Tuesday after learning about new rules the mayor is proposing for the short-term rental industry. What some see as solution to affordable housing shortage, other property owners worry would come at a cost to them. The city council is considering a crackdown proposed by Boston Mayor Marty Walsh. He said he does not want to eliminate Airbnb and believes it is an interesting model, but one that should be regulated. If passed, his citywide ordinance would require hosts to register with the city and pay an annual rental fee. "My concern is turning big buildings into Airbnb rentals across the board," Walsh said. "That's what they're intended for. That's not what they're permitted for." Many Airbnb hosts agree with the proposed regulations, but take issue with a cap on the number of days they would be able to rent out entire homes and apartments. Under the proposal, those renting any more than a spare room in their home would only be allowed to rent it out for 90 days. 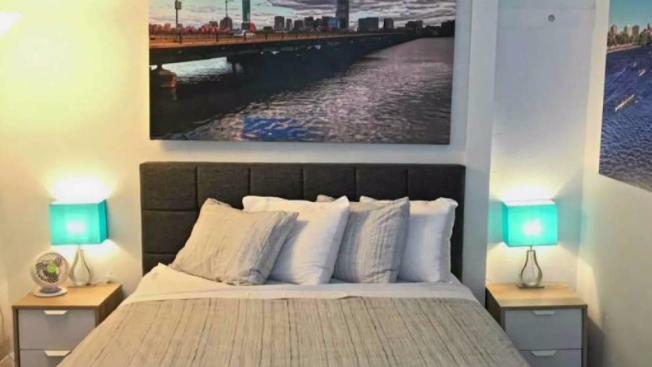 "Then it would sit empty for another nine months," South Boston Airbnb host Mike Gallahue said. "Most people can't afford to do that." Affordable housing advocates hope that would deter Airbnb hosts for putting the units on the market for short-term rentals and instead lease them out to long-term tenants. They argue more properties and vacancies would help drive down Boston's sky-high rents. "I don't buy that," Gallahue said. "Boston rents are going up and up and up." Some who are natives of South Boston, one of many neighborhoods now saturated with Airbnb listings, disagree. "It's just pushing us all out," Tracey Novicki said, who showed up to the hearing to testify with other affordable housing advocates. "We also don't want just anyone living next door to our house. It's about affordability and safety." The plan is far from a done deal and will likely require months of hearings revisions. The proposed rules, if passed, would not be the toughest in the state. The city of Cambridge recently started requiring owners to live in or close to the buildings they rent out.